At The Catholic University of America, you will study piano for its ability to contribute to the beauty of the world and enrich the human soul. With options to study collaborative piano, piano performance, or piano pedagogy, you are sure to find an area that will grab your attention and fully develop your talent. In your major classes, you will receive extensive training in piano, as well as supportive courses in music, to provide you with a broad music background. As a collaborative piano major, you will take classes that teach you how to work as a partner to another musician in a variety of settings. Your liberal arts requirements will expand your knowledge with classes in history, art, and literature. When you graduate from the program, you will be well equipped to pursue a career in your desired field. With a thorough piano background and strong liberal arts foundation, your education will prepare you to use your talent to make a better world. With approximately 35 students, the piano division is an intimate but growing part of the Rome School. With programs in chamber music, piano pedagogy, performance, and vocal accompanying, every style of playing is being studied and perfected within our division. Our students perform in solo recitals, master classes, solo performances with orchestra, chamber music concerts, as accompanists for singers, and in many other capacities. In addition, the piano division serves as the source of secondary piano instruction for the Rome School. Secondary study of piano is required for non-piano principals, and students from other majors in the university are encouraged to sign up for lessons. 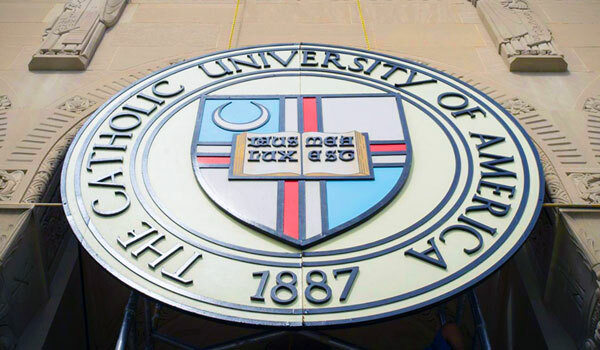 Piano study at The Catholic University of America will focus not only on how to become the best musician, but how to use your talent for the betterment of society. In your first year, you will take philosophy, theology, and English classes as part of a small learning community of about 18 students. These classes will help you consider the purposes of human life and your role in the world. Studying in our nation's capital will provide you with many opportunities to expand your education. You will be minutes away from the plethora of museums in Washington, D.C., as well major performance venues like the Kennedy Center, home to the National Symphony Orchestra. With around 35 students, the piano department will provide you with a small, supportive community. You will form close relationships with your classmates and your professors, who will serve as valuable contacts for you as you begin your career. When you complete your program you will have many opportunities to put your education to good use. Piano majors typically pursue further study or music teaching, or become members of a chamber choirs or other performing ensembles. The strong liberal arts education that you will receive at The Catholic University of America will allow you to use your talent to its greatest potential in whatever career path you choose.